Charles M. Nisbet Memorial Scholarship. 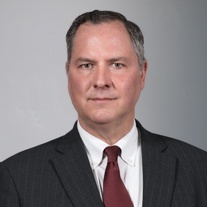 U.S. District Court, Eastern District, PA.
John G. Moon is a Litigation attorney focused on representing clients in securities regulatory matters, complex civil litigation, and white-collar criminal defense. John represents financial institutions, public companies and executives in commercial litigation, white collar criminal defense, and civil and criminal investigations and proceedings brought by grand juries, the SEC, DOJ, CFTC, FINRA, and state governmental entities. His civil litigation practice also focuses on structured finance and securitization, and he currently represents financial institutions in two proposed multi-billion dollar "private label" RMBS settlements. He has also represented financial institutions in civil disputes involving CDO's, CLO's and warehouse agreements. Prior to joining Olshan, John was a partner in the Financial and Securities Industries Practice at a New York-based law firm. John has also served as the Executive Director of Litigation for the Americas Region for UBS Investment Bank in New York and as a Principal Consultant in the Banking, Finance and International Group of PricewaterhouseCoopers LLP. After graduation from law school, Moon was an Enforcement Attorney and Branch Chief at the SEC, as well as a Federal Prosecutor of financial crimes for the U.S. Department of Justice. John is a former Member of the Board of Managers and Officer of the Harvard Club of New York City, a Trustee of the Village of Tuxedo Park, as well as Board of Education Member for the Tuxedo Union Free School District. RMBS litigation: In re Residential Capital LLC, 12-12020-mg (Bankr. S.D.N.Y. )(successfully represented financial institution revising allocation formula distributing $8.7 billion allowed claim); In the Matter of the Application of the Bank of New York Mellon, Index No. 651786 (NY Supreme Court 2011) prevailed after a 9 week trial in proposed $8.5 billion RMBS "private label" settlement). Financial accounting: SEC v. Gemstar-TV Guide International, et al., CV-03-4376NM (C.D. Cal. 2004); In the Matter of USA Detergents, Inc., SEC Rel. Nos. 33-8112, 34-46225, AAE-1597 (2002). Insider trading, broker-dealer operations, and market manipulation: United States v. Charles H. Howard III, Cr. No. 92-74-01-D (D.N.H. 1992) (conspiracy to commit securities fraud, bank fraud, and bank bribery in connection with the failure of Thomson McKinnon Securities). Offshore financial transactions to conceal a Ponzi scheme: United States v. John Edward Hayes, Jr., et al., 40 F.3d 362 (11th Cir. 1994) (wire fraud, inter-state transportation of stolen property, conspiracy). Civil litigation involving securities: Nomura Securities International, Inc. v. E*Trade Securities, Inc., 2003 WL 22058235 (S.D.N.Y.) (contract and fraud claims and counter-claims involving $41 million stock loan). Operations of an investment adviser:, SEC v. Steadman Management Corp. et al., 1991 WL 30794 (D.D.C. Feb. 27, 1991), rev'd in part, 967 F.2d 636 (D.C. Cir. 1992). Asset forfeiture, and parallel SEC and grand jury investigations: SEC v. Health South Corporation and Richard M. Scrushy, CV-03-J-0615-S (N.D. Alabama 2003). Mutual fund disclosure: In re Mutual Funds Investment Litigation, 04-MDL-1586 (D. Maryland) (MDL regarding alleged mutual fund timing and late trading). GAAP interpretation and off-balance sheet accounting: In the Matter of PNC Financial Services Group, Inc., SEC Rel. Nos. 33-8112, 34-46225, AAE-1597 (2002).